Such a cute mini owl! 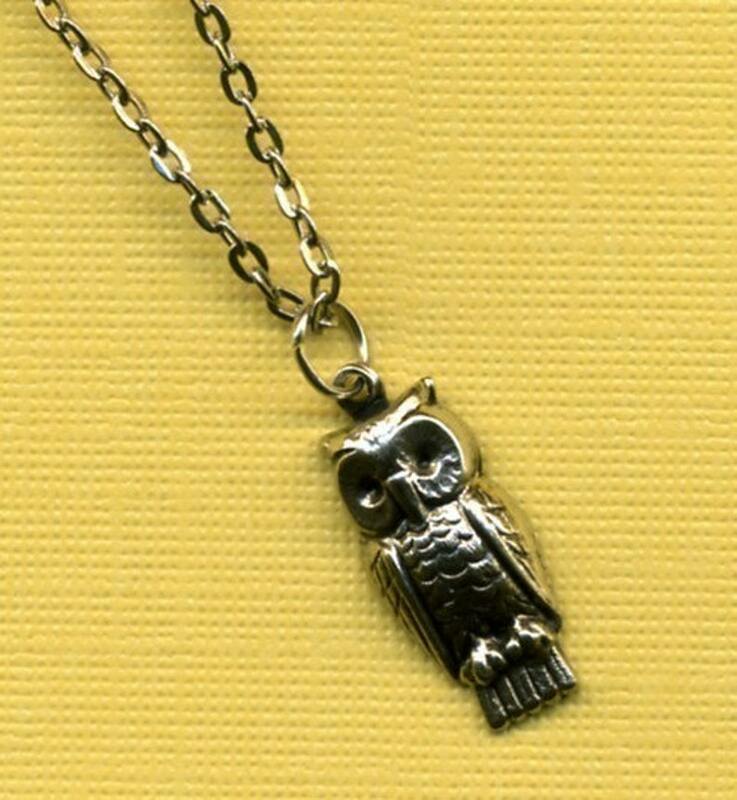 The vintage style owl charm is very petite, measuring .75" with a hollow back and very detailed front. Chain is silver plated and measures 16". The perfect every day necklace!